The definitive, chronological, and up-to-date guide on collecting Hulk comic books via omnibuses, hardcovers, and trade paperback graphic novels. A part of Crushing Krisis’s Collecting Avengers: A Definitive Guide. Last updated November 2018 with titles scheduled for release through July 2019. There are hundreds of different collections of Iron Man, especially his original run from 1963 to 1996. However, there are a few specific formats of books that cover large portions of this title, and I’ll cover those first – Essentials, Epics, Masterworks, and Omnibuses. Then, move on to learning how to collect Hulk, era by era. Rampaging Hulk, Vol. 1: Rampaging Hulk #1-9, The Hulk! (magazine) #10-15, and Incredible Hulk #269. The Essentials line has been discontinued and will not extend past #248. Jump to that spot in the chronology. #206-474: Not yet announced in this format. Vol. 1: Man or Monster? Volumes 23-24: Not yet announced, but will collect #449-474 and Annuals. These massive tomes have larger pages and collect huge swaths of comics – between 25 and 50 issues a book. They look beautiful on a book-shelf! This is a list of omnibuses focused on Avengers material – other, non-Avengers omnibuses are also listed in this guide chronologically. 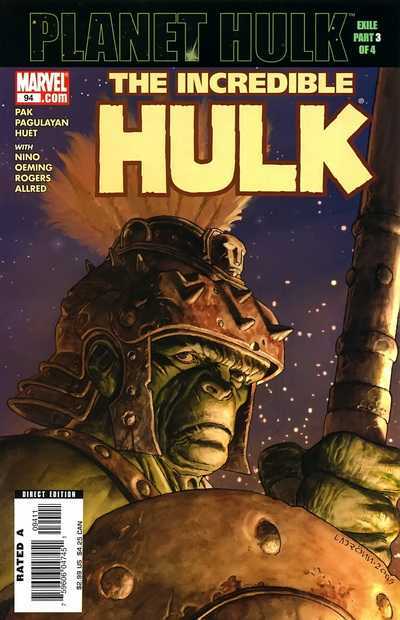 This omnibus-sized hardcover collects #92-105 as well as Amazing Fantasy (2004) #15, Giant-Size Hulk #1, and Planet Hulk: Gladiator Guidebook. Amazing Fantasy occurred prior to #88. Collects #106-111 as well as #112-115, which were titled The Incredible Hercules. 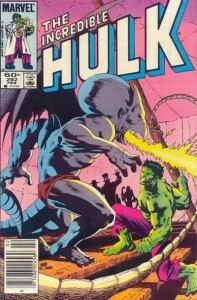 Also collects The Incredible Hulk #600, below. Contains many of the significant silver age first appearances from Marvel comics. Available in hardcover. Tales to Astonish #59: Also collected in Ant-Man / Giant-Man Masterworks, Vol. 2. Ant-Man continues to be the co-feature through #69, but his stories are not collected alongside Hulk’s. Also includes material from Not Brand Echh (1967) #3. Namor joins as co-star beginning in #70. His issues are collected separately – see Namor. Tales to Astonish #92-93: Collected variously, including The Definitive Silver Surfer (a UK book), The Incredible Hulk vs The Marvel Universe (full details below), and a retail-exclusive Hulk: Greatest Battles edition. Tales to Astonish #100-101: Issue #100 is a combined Hulk/Namor story, which also appears in Namor collections – and #101 (and Hulk #102), a Warriors Three story included in The Warriors Three Complete Collection and Warriors Three: Dog Day Afternoon hardcover and paperback. #145-156: Not collected, except for #150 with X-Men gap years collections; see X-Men #1-94. Hulk begins co-starring in Defenders after #156. See Defenders. #157-166: Not collected, except for #150 with X-Men gap years collections; see X-Men #1-94. #180-182: Wolverine’s cameo and first full appearances. Collected variously with Wolverine stories. See Wolverine and X-Men #1-94. Hulk also appears in many Wolverine origin flashbacks at this point; they are not noted here. 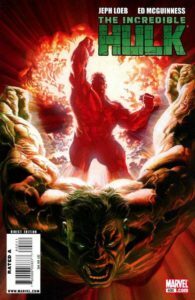 Hulk: Let the Battle Begin: A 2010 one-shot reprinting a story from 2007’s Marvel Comics Presents. #227-231 & Annual 7: Not collected. Annual 7 is the first issue in this run. #232-234: Not collected. #232 is included in Captain America Essentials Vol. 6. #238-243 & Annual 8: Not collected. Annual 8 comes between #237-238. Annual 12 is the first issue in this run. #296 is omitted because it stars ROM, a character who Marvel does not have the license to reprint. Here Mantlo leaves the title, with John Byrne and Al Milgrom each writing a brief run. #320-330 & Annual 15: Not collected, except for #324 in Transformations, above. Annual 15 is between #324-325. Peter David took over writing duties at #331 after a single-issue stint on #328. He would go on to quietly pilot one of the longest single-writer runs on a modern Marvel comic book outside of Claremont on X-Men and later Bendis on Avengers. He wrote all but the last six issues of this volume. #336-337 & 340: Also collected with Fall of the Mutants. See X-Factor. #340: This famous Hulk vs. Wolverine issue with art by Todd MacFarlane is collected in many places, including the Marvel 70th Anniversary Collection and variously in Wolverine collections – see Wolverine. Also collects Fantastic Four #320 and Web of Spider-Man #44. The story order is WoSM #44, #349, FF #320, #350. Annual 16 falls before #370. The other Annuals in the storyline are not collected here. Annual 17 comes after #387. The other Annuals in the storyline are not collected here. Also collects a crossover with X-Factor #76. Annual 18 comes after #394. X-Factor Visionaries: Peter David, Vol. 2 includes #390-392. The other Annuals in the storyline are not collected here. #407: In Epic, Vol. 20, below. Annual 19: This story falls after #407, but is collected in Epic 19, above. Incredible Hulk vs. Venom: One-shot, collected with Venom: The Enemy Within, in Venomibus, Vol. 1, and below in Epic Vol. 21. A 1992 or 1994 TPB. Also available in highly-limited dealer-incentive HC. Later reprinted in Incredible Hulk: The End hardcover and paperback. Also in Epic Vol. 20, above. #449-459: Not collected. Annual 1997 occurs during this time. #460-474 & Annual 1998 (AKA X-Man/Incredible Hulk ’98): Not collected. Writer Peter David leaves the title with #467. Annual 1998 falls between #467-468. 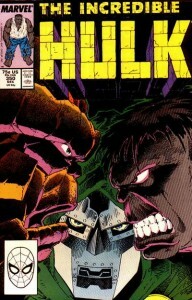 This title launched as Hulk and changed to Incredible Hulk with #12. During or after #7, Hulk appears in Contest of Champions II #1-2 & 4-5 and Black Panther, Vol. 3 #17. After #8, Hulk appears in Galactus #2 and Wolverine #145. After #11: Thunderbolts #34, Peter Parker: Spider-Man #14, and Captain Marvel, Vol. 5 #2-3. Incredible Hulk (2000) #1/2, 12-33, & Annual 2000-2001; Sentry/Hulk #1; Hulk Smash #1-2; and Startling Stories: Banner #1-4. Issue #1/2 comes after #10. Annual 2000 is between #20-21. Annual 2001 is between #28-29. Maximum Security: See Marvel Universe Events: Maximum Security. Fits between Annual 2000 and #21. Annual 2001 is placed after issue #28 in this collection. Annual 2001 and material from #26 are also collected in Thor Vs. Hulk. After #26: Wolverine: Son of Canada, Defenders #1-4, Black Panther #35, and Avengers #39-40. 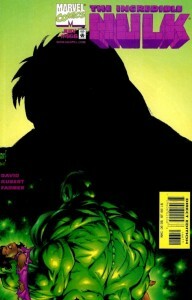 After #28: Hulk appears in Annual 2001, Thunderbolts #57, Infinity Abyss #2 & 6, and Defenders #5-7. After #32 Hulk appears in Defenders #8 & 10-11, Captain America #50, and Defenders #12, followed The Order #1-6, a sequel to Defenders. 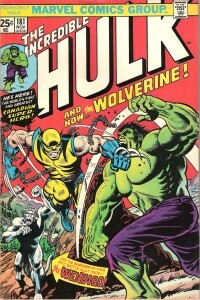 A four-issue Wolverine/Hulk mini-series, not to be confused with the later “Six Hours” mini-series. A Marvel Premiere Classic reprint of this sequence. Collects issues #1-4. May not fit here in continuity order. Master Lock Presents: The Incredible Hulk (2003) #1: Not collected. Promotional. Also includes Hulk Smash #1-2 from 2001. A four-issue mini-series. Also reprints the classic Marvel Giant Size Superstars. Hulk next appears in Marvel Team-Up, Vol. 3 #7 & 11-13 and Defenders #1-5. See Marvel Universe Events: House of M for other collection options. 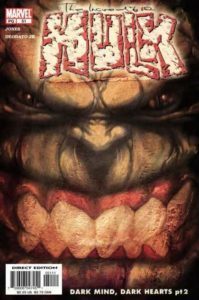 Hulk: Destruction #1-4: Not collected. 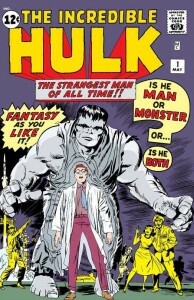 Hulk appears in Amazing Fantasy #15 (collected below) and Doc Sansom, Vol. 2 #1-2 (of 5). 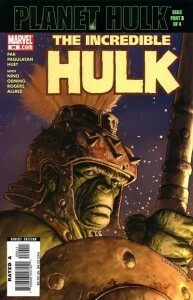 Also collects Amazing Fantasy (2004) #15, Giant-Size Hulk #1, and Planet Hulk: Gladiator Guidebook. Amazing Fantasy occurred prior to #88. Also available in oversize hardcover. World War Hulk: See Marvel Universe Events: World War Hulk for the full collection information for this Hulk-centric crossover. The main volume is collected in paperback and oversize hardcover. Part of World War Hulk. Also available in oversized hardcover along with #112-115. Starting with #113, this title transitions to Incredible Hercules, but Hercules collections often begin with issue #106. See Hercules for more information. A pair of Hulk titles take its place – Hulk (2008) and The Incredible Hulk (2009) renumbered to begin with #600. Hulk & Power Pack #1-4: Not collected. An all-ages flashback story. This run introduces the Red Hulk and is split into two halves. 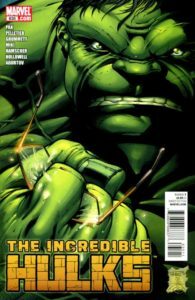 Part one, which co-stars Bruce Banner, covers the first six volumes of originally released collections (#1-24) and is written by Jeph Loeb. Part two primarily stars the Red Hulk and is written by Jeff Parker. as extra-length paperback complete collections.. Dark Reign: See Marvel Universe Events: Dark Reign. Hulk does not play a large role in this event. Also collects The Incredible Hulk #600. Available in hardcover. From this point forward, the story primarily stars Red Hulk. 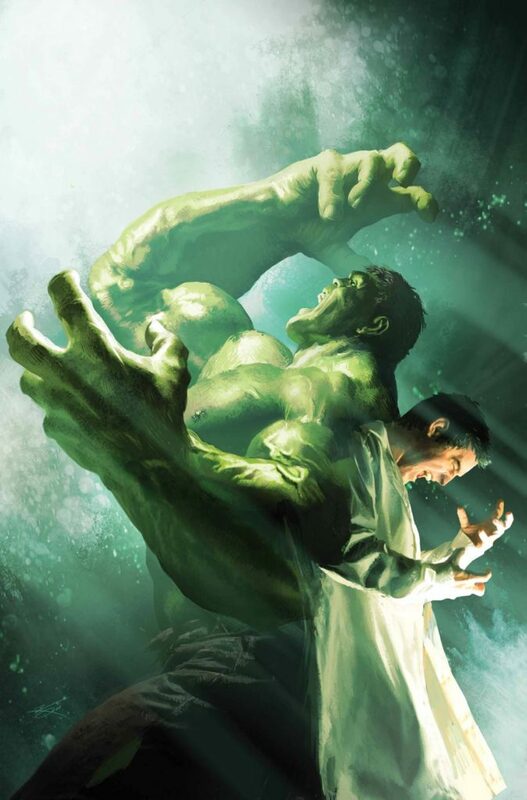 For Bruce Banner’s Hulk, continue to the next series, though he also appears in #21-25. Also collects Fall of the Hulks: Gamma. Available in hardcover. Collects #1-4 of this mini-series. Red Hulk joins The Avengers here in Avengers #7. Available in oversize hardcover. Co-stars Red Hulk. Avengers vs. X-Men: Red Hulk plays a significant early role. See Marvel Universe Events: Avengers vs. X-Men. This era is also collected in smaller, individual volumes. Collects Hulk (2008) #2 & 16, Skaar: Son of Hulk #1, Hulk: Raging Thunder, Planet Skaar Prologue, and All-New Savage She-Hulk #4, plus material from Amazing Fantasy (2004) #15, Hulk (2008) #9 and The Incredible Hulk (1968) #600-601. Also collects Dark Reign: The List – Hulk. Available in hardcover. Also collects Fall of the Hulks Alpha. Available in hardcover. Collects #1-4 of this mini-series and material from #606-608. Full contents to be announced, but likely to contain all three of the Skaar collections directly below. Also collects Hulk Family: Green Genes and Skaar: Son of Hulk Presents: Savage World of Sakaar (2008) #1. Available in hardcover. Planet Skaar Prologue #1. Available in hardcover. Also collects Incredible Hulk #312. Available in hardcover. 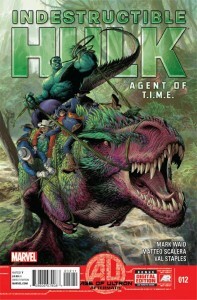 Collects Realm of Kings: Son of Hulk #1-4 and Incredible Hulks: Enigma Force #1-2. See Marvel Universe Events: War of Kings / Realm of Kings for more collection information. Chaos War: See Marvel Universe Events: Chaos War for more information on this brief, mini-event. Fear Itself: Hulk is a key supporting player in this event, including in his own mini-series Hulk vs. Dracula. See Marvel Universe Events: Fear Itself for all of the collection information. Also includes material from Fear Itself #7. Avengers vs. X-Men: Hulk appears briefly in the final two issues of this event, and not at all in the tie-ins. Red Hulk plays a significant early role, including the prologue in X-Sanction. See Marvel Universe Events: Avengers vs. X-Men. Mark Waid drives Bruce Banner’s Hulk in a new direction in the wake of Avengers vs. X-Men, making for a compelling, sci-fi take on the character. Hulk also appears regularly in Avengers Assemble, and occasionally in Avengers and Secret Avengers. Several other Hulks are active in this period! 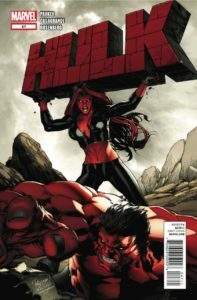 Red Hulk leads Thunderbolts, Jennifer Walters joins the replacement Fantastic Four in FF, and Red-She Hulk anchors her own title. #1-5: Vol. 1: Agent of S.H.I.E.L.D. Collects All-New X-Men Special #1, Superior Spider-Man Team-Up Special #1, Indestructible Hulk Special #1, and and unrelated one-shot, Wolverine: In the Flesh #1. Infinity: See Marvel Events: Infinity for Hulk’s participation in this galactic event. Original Sin: See Marvel Universe Events: Original Sin. Hulk does not play a part in this event outside of his mini-series. This story directly follows X-Men #66, which it also collects. 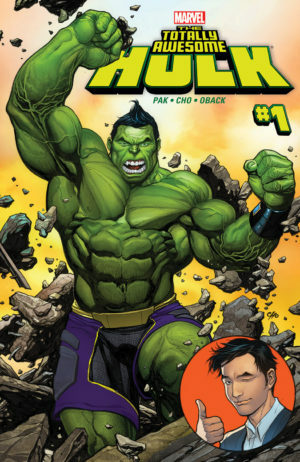 With Bruce Banner laying low and trying to contain the green monster, Amadeus Cho decides to step up to fill the Hulk-sized void in the heroic world. He also founds and co-stars in a new run of Champions. Note that a new “Hulk” title launches in this period, but it stars Jennifer Walters rather than a male Hulk. A terrific team-up of Asian and Pacific Island heritage heroes, including Ms. Marvel, Shang-Chi, and Silk. Also collects Generations and Moon Girl & Devil Dinosaur #4. Collects Thor vs. Hulk #1-4. I’m not sure what the chronology/continuity of this story is, since it stars Odinson as Thor and Banner as Hulk, neither of whom are currently active at this time. At the end of Marvel Legacy, Bruce Banner makes his return as Hulk in “Avengers: No Surrender.” That story makes the argument that, really, Banner never left – because The Hulk is not only indestructible, but immortal! That sets up a new series by Al Ewing with The Hulk as the star of his own horror movie – one where he finally takes ownership of the fact that he can be defeated but he can never die. #1-5: Vol. 1: Or Is He Both? Check Amazon for Marvel’s newest Hulk titles. This is really helpful. Thanks for posting it! I’m glad it answers some questions for you, Curtis! Never hesitate to drop me a line if you have any questions. I’m keen on reading some Red Hulk stuff. Seen this on Amazon U.K.
Would this be the right run? I’m looking for a particular Hulk comic that would’ve come out in the late 70s/early 80s–hard to pin down the exact year, but I got it around 1980/1981, when I was 9, and had it for a few years until it was lost or stolen. It was a large-format one-off in which the Hulk traveled to a Tolkien-esque ‘high fantasy’ realm. I loved it so much, but it eventually disappeared. I have a feeling it was stolen, but I don’t know by who. The background on the cover was white, and the art featured on the cover consisted of a series of little tableaux from the comic, as I recall. I can’t remember the exact title, and my searches have turned up nothing. It seems to be incredibly rare, which only makes me more angry when I think about it being stolen. For some reason I feel like Gene Colan worked on it, but that may be wrong. Again, searches have turned up nothing. I would love to get another copy, or at least confirm that it existed. It’s driving me nuts! Your help would be greatly appreciated. Hi – great work here. I recently read Planet Hulk collection and the World War Hulk collection with my son. Following that continuity, which collections would you recommend we read next? Thanks for great stuff here. If you’re wanting to follow Greg Pak’s work on Hulk, next up for you would be Skaar: Son of Hulk, which takes place on Sakaar and is getting a nice Complete Collection this July, or his World War Hulk follow-up miniseries, World War Hulk Aftersmash: Warbound. After that, he takes over the main Incredible Hulk series; if you’re looking at the contents menu at the top of the page, this run can be found by clicking on the “Vol. 1, again, and Incredible Hulks (2009 – 2011)” button. He left for other projects after that, but he came back in 2015 to write a series about Amadeus Cho taking over as a more optimistic, under-control version of the Hulk. In the menu, that’s under “All-New, All-Different Marvel Now: The Totally Awesome Hulk (2015 – Present)”. Happy reading! Oversized HC and extra length paper back complete collections, are the same stories but it’s just two different formats?? Startling Stories: Banner happens on an alternate earth so it’s not in continuity.